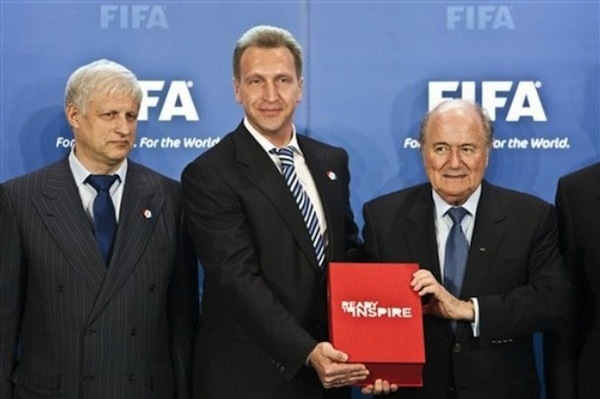 Following fresh accusations of vote-buying, the Russia 2018 World Cup bid team has sought to reassure FIFA with a clear, open and transparent bribe. Speaking at a press conference in the bid headquarters of an abandoned steel mill, bid chief Alexei Sorokin expressed his disappointment at the fact these accusations were mentioned without using any of the code words. “Hosting the World Cup in Russia would be a monumental occasion and we would not dream of doing anything to damage that”, urged the bid chief. “Of course, we also wouldn’t dream of doing anything to your kneecaps, or that soft, soft face”.